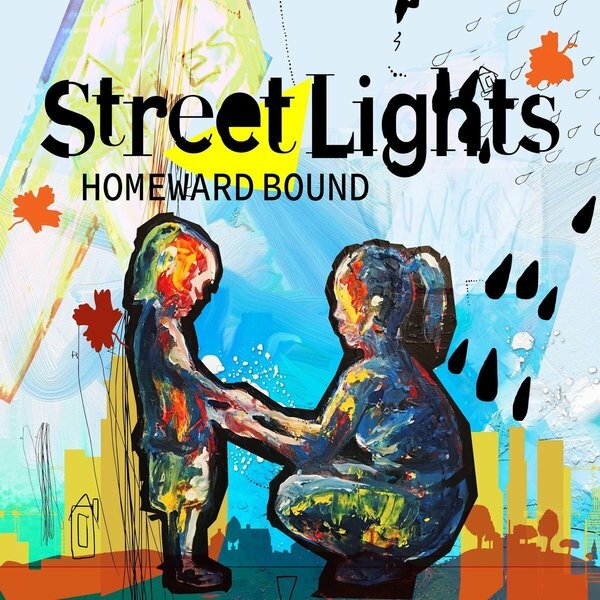 Continue reading Bono, Cathy Davey and Conor O'Brien cover 'Homeward Bound' for homeless. 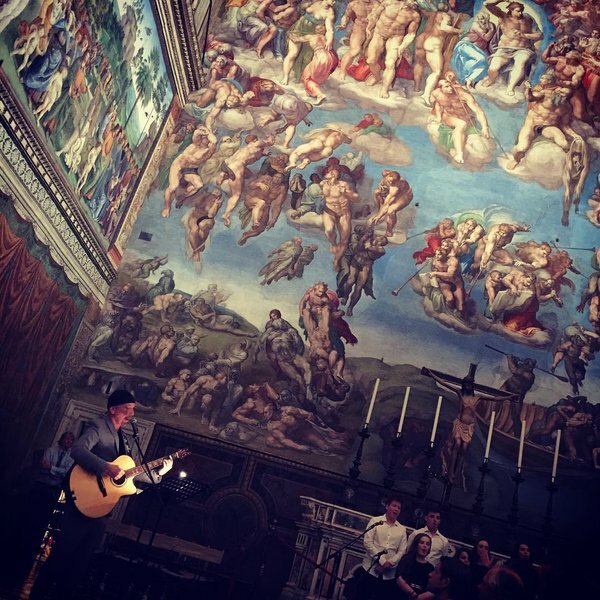 U2's The Edge became the first artist to ever stage a contemporary music concert inside Vatican City's historic Sistine Chapel Friday when the guitarist played a short acoustic set as part of a conference on regenerative medicines. The Edge, who called the unique venue "the most beautiful parish hall in the world," performed U2's "Walk On," "Yahweh" and "Ordinary Love" as well as a cover of Leonard Cohen's "If It Be Your Will" backed by an Irish choir. The Edge, whose father died of cancer and whose daughter fought leukemia, has been on the board of the Angiogenesis Foundation since 2007 (angiogenesis is the body's ability to grow new blood vessels). The Sistine Chapel performance was part of the Cellular Horizons conference, where over 200 doctors, scientists, researchers and philanthropists gathered to discuss ways to combat diseases like cancer. 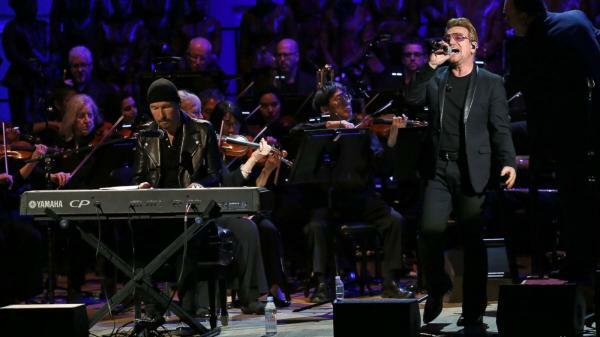 Continue reading Watch U2's the Edge Perform Sistine Chapel Concert. Continue reading Bono, Biden, Cyrus Celebrate Fight Against AIDS at Concert. Bono states that "Ebola is a political failure, not a medical failure" and that he wishes "we didn't have to do this (recording) and see the same old faces again" and that "we've been trying to make this kind of event a thing of the past". This page is an archive of recent entries in the Charities and Benefits category. Film News is the previous category. 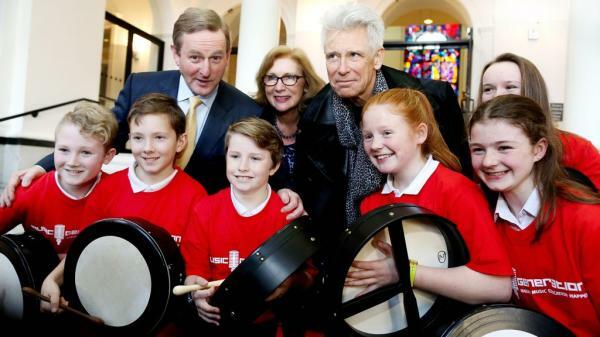 U2 Station Original Stories is the next category.